Port Call Optimization is one of the pillars of Teqplay, where innovation, technology and collaboration meet. The port call is the ultimate collaborative process where up to 27 parties are involved. Our vision is that providing real-time information on the current and predicted state of the port call will effectively result in higher efficiency of ports and operational processes and saving costs and CO2-emissions. Agents coordinate port calls. They require a clear overview of the port calls and have insight in what is needed and happening in respect to clients vessels. Teqplay has developed a perfect tool for agents: Port Reporter. It’s easy to use, enables pro-activeness, provides control and improves efficiency. Port Reporter has been developed in close collaboration with agents and shipping lines. In multiple design sessions with users and management the requirements and innovations have been defined. personal notifications based on personal and/or company profile. As a result: you are always informed and in control. 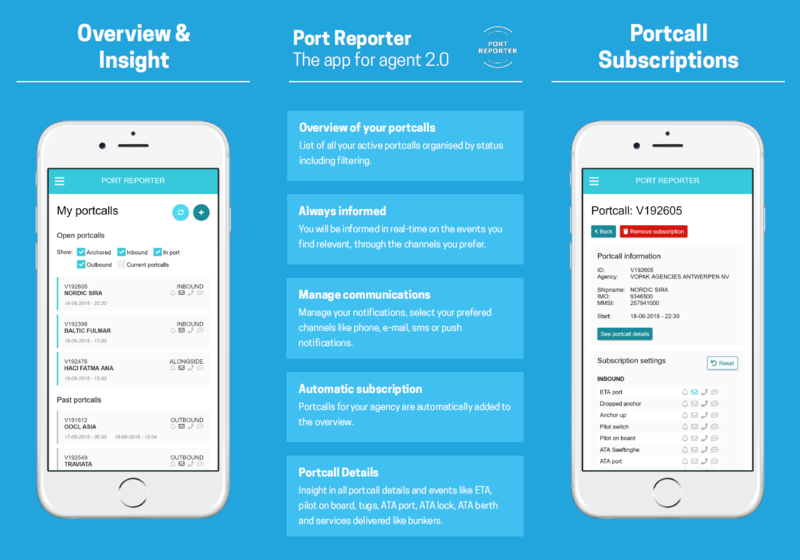 Port Reporter service is currently available (or in the process of being rolled out) in the Port of Antwerp, Port of Amsterdam and the Port of Rotterdam.